Kids will love these! 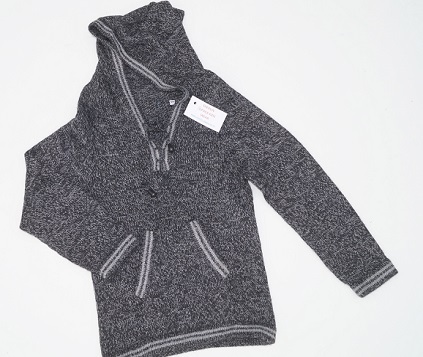 Stylish kids hoodies are 100% machine knitted Alpaca fibre and come in dark grey fleck and dark sand colour. Sizes available: age 6, 8 and 10 years.